Lisa Walker is giving a lecture at RMIT on Thursday 14 June from 6-7pm, entitled Glee. 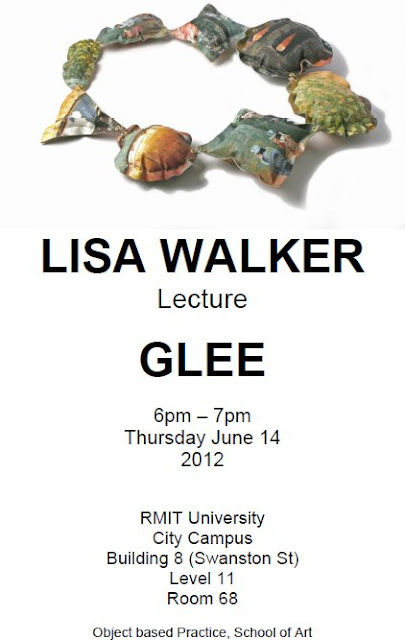 Who wouldn't want to attend a lecture entitled Glee!? RMIT Building 8, Level 11, Room 68, hosted by RMIT's new department merging Gold & Silversmithing and Ceramics, the department of Object Based Practice.